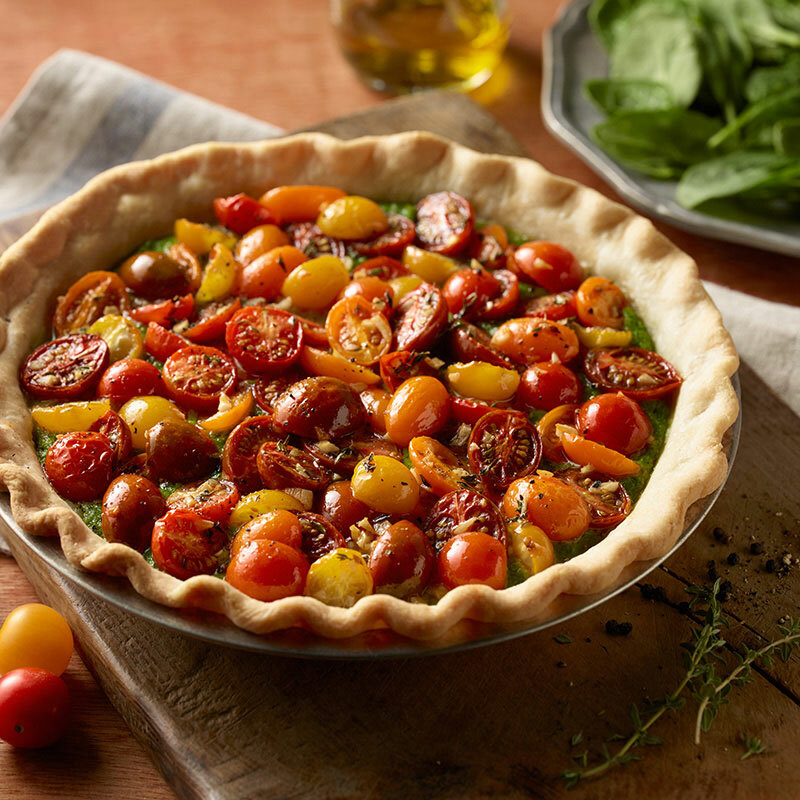 Luscious NatureSweet® tomatoes over a creamy filling and flaky crust! In a large mixing bowl, using an electric mixer, mix cream cheese, mayonnaise and large egg until smooth and creamy. 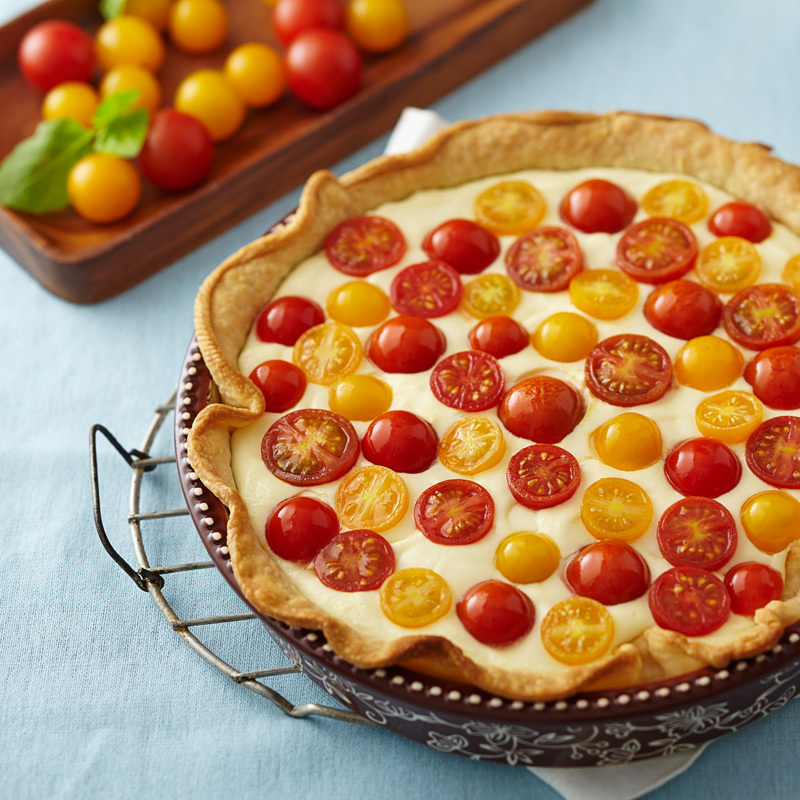 Spoon cream cheese mixture into cooked pie shell and spread evenly. 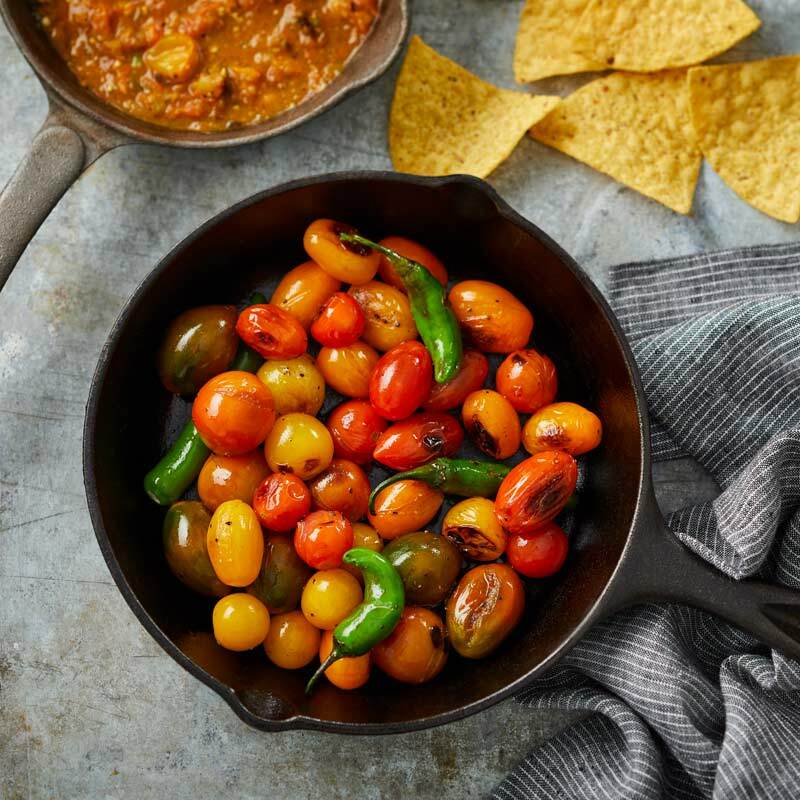 Fill to the top with NatureSweet® Constellation™ tomato halves. Spray with olive oil. Remove from oven and allow pie to set up for 1 hour.